Cancers that become resistant to treatment often develop into small cell cancers—also known as small cell neuroendocrine carcinomas, or SCNCs—which generally have extremely poor prognoses. Certain cancers can evade treatment in part by changing cell types—from aggressive adenocarcinoma to small cell carcinoma, for example. "Small cell cancers of the lung, prostate, bladder, and other tissues were long thought to be similar in name alone—and they were treated by oncologists as different entities," Witte said. "Over the past few years, though, researchers have increasingly begun to realize that there are similarities in the cancers, and that's what our work confirms." 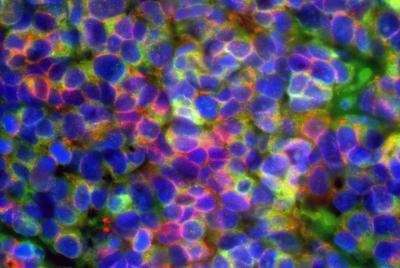 "Our study revealed shared 'master gene regulators'—the key proteins that control expression of multiple genes in small cell cancer cells," Witte said. "Studying the network of the master gene regulators could lead to a new way of combating deadly cancers."